Quality is one of the most important criteria for many industries in the field of metal stamping. There are many different metal stamping providers available in the global market, but the customers need to make sure that they carefully evaluate a few important points about them in order to make the right selection. Most of the future processes of customers depend heavily on the metal stamping partner they choose, and so this decision needs to be taken after careful consideration. Here are certain important points to consider in the potential metal stamping partner. Apart from quality, the customers should also make sure that the potential metal stamping company can deliver quantity as well. At times, there may be low volume projects, but there may also be high volume projects that need the right capability to deliver. The customers need to make sure that the potential partner is equipped with the right staff, technology, and right machinery to deliver uniform precision at low costs and high speeds. Customers have different requirements when it comes to part formation. However, not all the metal stamping companies may be equipped or ready to provide the right results. In this situation, it is important for the customers to make sure that the metal stamping companies they partner with are capable of providing them with pressing, continuous or simultaneous stamping, forming of 2 and 3-dimensional part and more. This way, the customers can ensure that all the present and future requirements will be taken care of with great ease. There are more than one ways of production when it comes to precision metal stamping. As a customer, it is important to make sure that the production methods used by metal stamping company are efficient enough to save on the cost. This involves less scrap, an efficient designing process, and reliable delivery protocols. This will ensure that the customers save on the cost in a long run. The metal stamping partner should capable of providing parts with great accuracy, durability, functionality, and quality. The company needs to be equipped with the right know-how about the selected material for stamping parts, and provide you with the relevant details on what to expect from it. They should also recommend ways in which you can make the process better, and get efficient results at the end. The company should be equipped with presses that have the right amount of tonnage, sizes, and capacities. 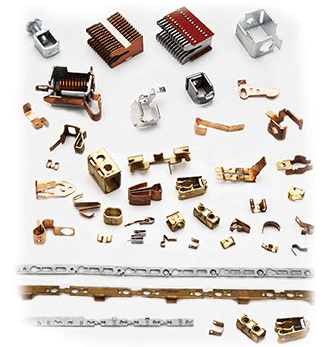 Depending upon the requirement, the companies involved in metal stamping should be able to make any relevant changes. One of the best ways to understand what you can expect from a metal stamping company is to carry out the relevant research. This way, you can get relevant information about the operations, customer satisfaction, the list of happy customers, and also the variety of services provided. These days, the internet is one of the most instrumental ways to carry out proper research. Just visit their company website, and read about what they have to offer. From the designing of a metal stamping project to the delivery, there needs to be good quality control implemented in every process. In order to get a better idea about it, it is helpful to pay a personal visit to the company and take a tour. During the tour, it is best to try and find out about the various quality controls, the processes involved, and also what measures are taken for troubleshooting. This will help the customers to understand how important quality is for the metal stamping company, and what to expect from them. A precision metal stamping company needs to have the latest technologies in all their processes. The technology that we use at Eigen helps us cut down on the overall cost and produce large volume metal stampings in less time. As a result, the customers can save on unnecessary costs, and only expect the best of results. The efficient use of technology also helps us identify problems in an earlier stage and troubleshoot accordingly. This saves time, money, and lot of hassles in the long run. The points mentioned here may seem basic, but are crucial in identifying the right metal stamping partner. The customer will need to spend some time in research and identifying the above areas, but in the long run, this will prove to be highly beneficial. Apart from getting quality and quantity in metal stamping parts, at Eigen, we ensure that the customers receive the finished products right on time. So make sure that they consider the points mentioned here and experience the benefits in the longer run.